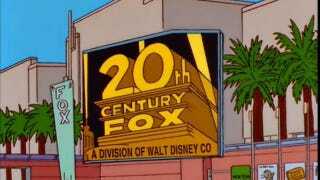 Well, that’s a first: No one’s ever been able to fit 32 seasons into one scripted, U.S. primetime series before, but come 2020, The Simpsons will. As part of its day at the Television Critics Association winter press tour, Fox announced that it has renewed the landmark animated comedy for two more seasons, bringing its total number of episodes up to 713. "Maybe Moe gets a cellphone / Has Bart ever owned a bear?"